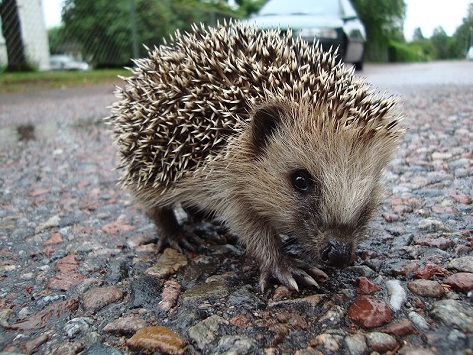 Use this page to record the hedgehog you saw. You will need to give details of what you saw, when you saw it, where it was and who you are. Please fill in as many details as possible, but as a minimum, those marked Required must be filled in. FILL IN THIS FORM EACH TIME YOU SEE A HEDGEHOG. Please only submit a record if you are happy for The Wildlife Information Centre (TWIC) to hold a copy of your personal data and to process it. We may need to contact you regarding the record you submit. If you are not happy for us to hold your personal data, please do NOT submit a record. 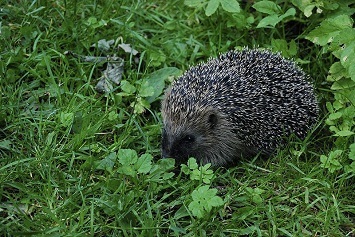 Please tell us if the hedgehog you saw was dead or alive, and how many you saw (if you saw several hedgehogs on separate occasions, please fill this form in separately for each time you saw hedgehogs). The space below is for you to give any other information about the hedgehogs you saw (e.g. 5 young hedgehogs in nest; adult hedgehog eating food put out in garden; hedgehog dead on side of road). Image by Jpbw. 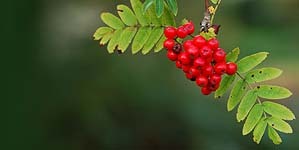 Image used under Creative Commons Attribution-Share Alike 2.5 Licence, found at http://creativecommons.org/licencews/by-sa/2.5/deen.en. Where did you see this hedgehog? Give the name of the place you saw it, e.g. "Vogrie Country Park, Gorebridge, Midlothian" or "Garden of 23 School Road, Hawick". Please could you also give a grid reference (e.g. NT123456) - if you don't know it, please use the 'Grab-a-grid-Reference' tool below to find out. Please record using a four or six figure reference (shown in blue and green below respectively). Please note we can only accept sightings for the Lothians, Scottish Borders, Falkirk, Stirling and Clackmannanshire Council areas and the Loch Lomond & Trossachs National Park. If you have wildlife sightings for another part of Scotland, England, Wales or Northern Ireland, please submit your sightings to iRecord. Thank you. When did you see this hedgehog? Be as accurate as you can but please don't guess! If you don't know the day, then just put the month and year. Please enter the name of the person who saw the badger. Extra details like email and telephone numbers are optional*, but valuable if we need to contact you about your sighting. If the recorder is under 16, please submit a parent or guardians name. *We will not pass your details on to anyone else. We will only use email addresses to contact you with further details of this survey. To find a grid reference first select the desired scale boxes on the right. Drag the place marker on the map to the approximate location. Use the '+' button on the map to zoom in and then the 'Satellite' button for aerial image and adjust the place marker. The grid square of the selected resolution will be displayed on the map and the grid reference for that square will appear on the right-hand side. Alternatively you can use the arrow buttons on the map or drag the map to the desired location and then hit the 'Get The Marker' button'. To paste the grid reference into the Grid Reference box above, double-click either the green six-figure grid reference, or the blue four-figure grid reference to select, right-click and select 'Copy'. Click the link below to return to the grid reference box, right click the box and select 'Paste'. Click here to return to the data entry form. Please do not record using 2-km or 10-km grid refs. These are for information only.